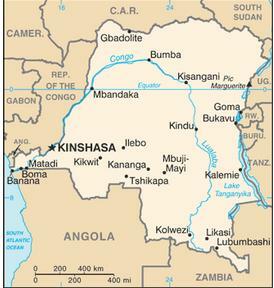 Last month, in Monkeypox Outbreak Reported In Central African Republic we looked at what was apparently a small outbreak of the virus - now quashed according to local reports - in the Bangassou district, an area on the north bank of the Mbomou River which serves as a border with the Democratic Republic of Congo (DRC). Over the past 24 hours, reports of several outbreaks of Monkeypox have been coming out of the DRC (although their Health Ministry site makes no mention of it), including 51 recent cases in Bas-Uéle (350 km from the CAR outbreak). 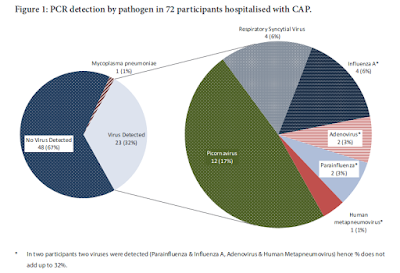 While small monkeypox outbreaks are not unusual in central Africa (the DRC reported 20 cases in September 2015), today's report suggests a much larger, and wider spread outbreak. Reportedly nearly 200 cases have emerged in the past few weeks. This report from the L'Observateur Nation. The outbreak of monkeypox, a viral disease similar to smallpox surfaced in Aketi territory of the province of Bas-Uélé, where 51 new cases were recorded in the first week of February current. 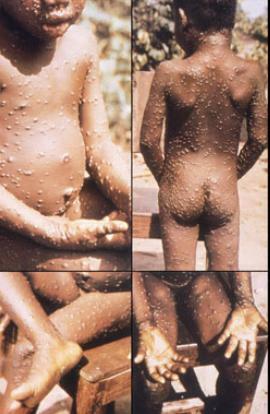 Also known as monkey pox, the disease has already killed two people, alerted Tuesday, February 9 aware of the area Medical Officer Aketi, Dr Innocent Akonda. In the process, he says that thirteen cases are diagnosed in the Bombongolo health area, fifteen in that of Aboso and twenty-one other in the twelve other health areas of the territory. According to several local sources, the situation is alarming and requires immediate intervention. With the new cases, the health area is already 195 cases including 8 deaths, said Dr. Innocent Akonda. For Dr. Innocent Akonda, this highly contagious disease spread in the Aketi health area because of several difficulties that do not facilitate the fight against the monkeypox virus. These difficulties became almost a brake for better medical care to the population, he has cited the lack of qualified medical personnel and lack of adequate sanitation. Monkeypox is a rare virus, endemic in monkeys and rodents in central Africa, that produces a remarkably `smallpox looking' illness in humans. although not as deadly. Human monkeypox was first identified in 1970 in the DRC, and since then has sparked small, sporadic outbreaks in the Congo Basin and Western Africa. Humans can contract it in the wild from an animal bite or direct contact with the infected animal’s blood, body fluids, or lesions, but consumption of undercooked bushmeat is also suspected as an infection risk. 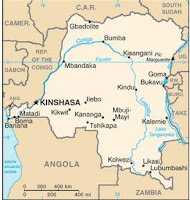 In 1996-97, an unusually large outbreak occurred in the Democratic Republic of Congo (see Eurosurveillance Report), infecting more than 500 in the Katako-Kombe and Lodja regions. Mortality rates were lower for this outbreak (1.5%) than earlier ones, but this was the biggest, and longest duration outbreak on record. Somewhat famously, in 2003 the United States saw an outbreak (of the milder, West African clade) that affected 47 confirmed and probable cases across six states—Illinois, Indiana, Kansas, Missouri, Ohio, and Wisconsin - all of whom had contact with infected prairie dogs purchased as pets. Given the size, and quick spread of this latest outbreak, we'll continue to check in on it in the days and weeks ahead.